PARKSIDE CHAMBERS was originally founded in 1983 by four civil and commercial barristers. They set up practice in the Diamond Exchange Building and then BCC House, and in August 1991 Parkside Chambers moved to Two Pacific Place adjacent to the High Court. Over the last two decades, Parkside’s membership and standing has grown steadily and we now have over 40 members with diverse backgrounds. 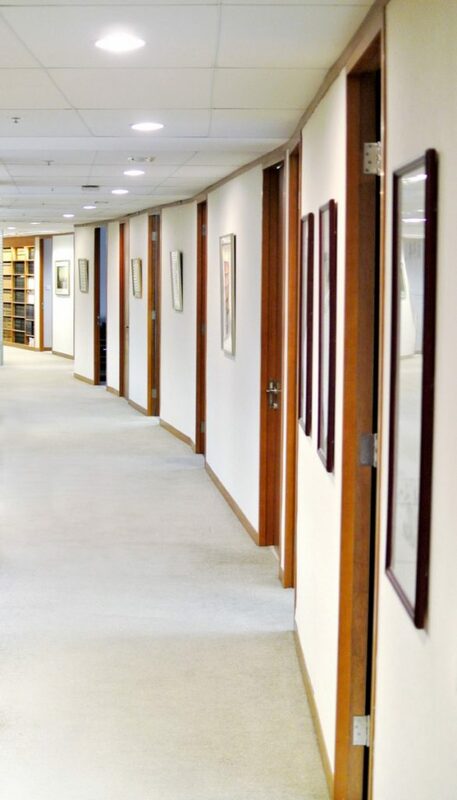 We currently house counsel of recognized authority in construction, criminal, family and securities law as well as in all aspects of civil and commercial practice. Members have also made significant contributions to the development of administrative and human rights law in Hong Kong and members have gone on to serve the community by joining the High Court and District Court Benches. A number of our members have forged strong reputations for their leading practice in arbitration and mediation, particularly in construction and family matters. Individual members’ areas of expertise can be seen in Practice Areas. Parkside has enjoyed objective recognition as one of only three “leading sets” in Hong Kong in Chambers and Partners Asia. We pride ourselves on our accessibility, our professionalism and our approachability. Parkside encourages the pursuit of excellence and a collegiate atmosphere, in a self-supporting working environment where all members recognize they can learn from the others whether younger or older.